MUMBAI: While T-Series is all armed to dethrone PewDiePie from the number one YouTube channel tag, popular song Swag Se Swagat has become the first Indian song to garner over 700 hundred million views on YouTube. Featuring superstar Salman Khan and the beautiful Katrina Kaif, the music production of the song is done by Meghdeep Bose. “I feel a lot of responsibility to keep up the standards of my work and work harder to contribute even better music to the music world,” he further adds. Sung by Vishal Dadlani and Neha Bhasin, the music of Swag Se Swagat has been composed by Vishal-Shekhar. 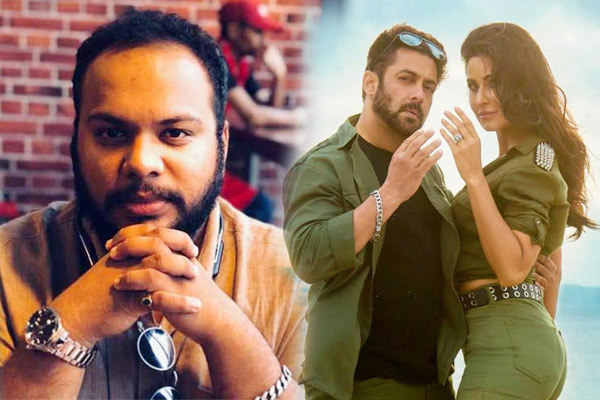 The song is from the Bollywood blockbuster movie, Tiger Zinda Hai, directred bi Ali Abbas Zafar. The music video gave a message of welcoming everyone in the realm of humanity. Meanwhile Guru Randhawa’s popular song, Lahore is second in the list to cross the 700 hundred million views mark as the video currently has over 660 million views. MUMBAI: Popular singer Guru Randhawa will perform in 15 cities this year as part of Bollyboom Guru Randhawa High Rated Gabru India Tour 2.0.